The classic tour of India, a choice that may never go wrong. Even for those who are not doing it for the first time, the tour effortlessly entertains and educates each and every time. In these carefully planned departure dates we've imagined the very special touches, those moments which will very pleasantly defy the shortness and obviousness of such a popular tour. A maximum of 6 travelers may join each such departure. Each place of stay is carefully chosen to reflect Indian ethos in hospitality and friendliness. Comforts, safety and hygiene are the high points of the stays. Indian Moments own chauffeur driven vehicles will be put in the entire duration of the tour. These vehicles come loaded with modern comforts, safety features, wi-fi, choice music and bottled water. Personal pickups from airport to your place of stay. Tour briefing and a full day of touring in Old and New Delhi. Visiting Humayun's Tomb and spice market's walk will be among highlights. 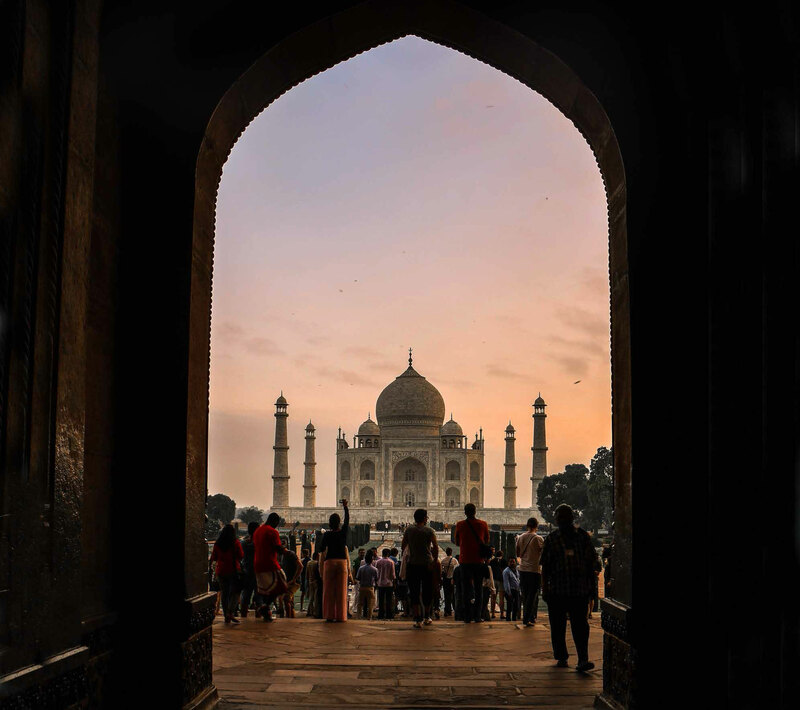 Tour of Tajmahal and other great Mughal era buildings. Great cultural tours involving still functioning palaces, hill top forts, bazaars, art workshops and heritage walks. Village walks, Haveli tours, living arts on textiles, cooking sessions and beautiful Indian social life. 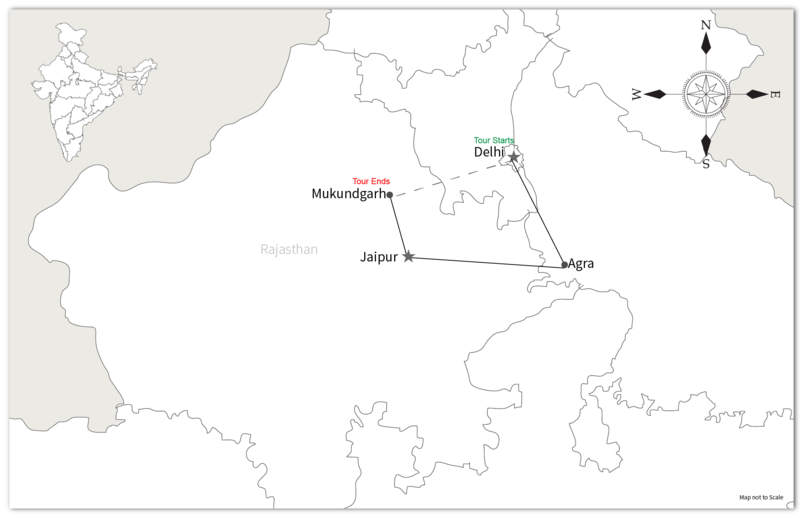 Transfer to Delhi in a day train journey. The tour ends on arrival in Delhi.